The easiest way to clean up your sound. These days, a simple smartphone is more advanced than anything NASA could have even dreamed of when shooting their first shuttles up in space only a few decades ago. It would be a funny thing to travel back forty years and try to explain to a NASA scientist about the near-unlimited power of ones and zeros. And in this article, we'll explain the best way to harness these ones and zeros in order to help a regular music lover drastically improve the quality of their audio playback. You do it by upgrading the device's DAC (Digital-to-Analog Converter), which takes the digital signal and turns it into sound you can actually hear. The better the DAC, the better the sound. For more background information on DACs, see our comparison table and buying advice below the picks. What We Like: Amazing design and features. What We Don’t: Doesn’t sound quite as good as the DAC3. What We Like: Outstanding sound quality and interface. What We Don't: Horrendously complex menu system, no Bluetooth. With their ADI-2 DAC, Germany's RME dethrones Benchmark to take second place – and with good reason. The ADI-2 is an absolutely gorgeous machine, with a terrific display that gives you full control over your sound. The audio quality is intricate and detailed, relying on RME's Steadyclock system to reduce unwanted noise. For $1,099, we don't think you're going to get a better DAC – definitely not one as enjoyable as this. It may not have Bluetooth, but this German-made wonder is a fantastic wired solution. What We Like: Amazingly easy to use, great sound. What We Don't: Not a ton of in/out options. What an astounding surprise this was. Resonessence – a company out of Kelowna, British Columbia – aren't very well known, but they definitely should be. Their Herus DAC is the perfect mix of value-for-money and great functionality: a tiny little unit that is dead simple to use and will instantly improve your sound. It would be nice to have a few more input and output options. Tou're limited to USB input and 6.3mm output, meaning you'll need a 6.3mm-to-RCA cable if you want to use this as a DAC and not a headphone amp. But there's no denying just how good this really is. The sound is weighty and rich, and it handles a ton of different file types, including full DSD functionality. It's also fitted with asynchronous USB, meaning it takes over the clock functions from your computer, minimizing timing errors. This is now our standard go-to testing DAC for all our reviews, and we have a full review of the DAC itself coming very soon. For now, we can say that this is easily one of the most underrated, effective models on the market. 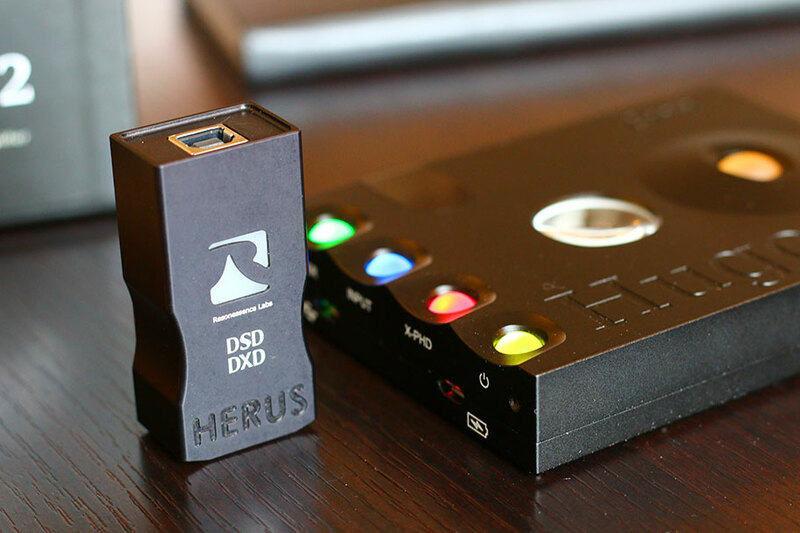 Also worth noting: the company makes several more excellent DACs, including a Herus+, with upgraded architecture, low power mode, and selectable oversampling filters. That one is $425, if you've got the extra cash. What We Like: Incredible sound, premium design and functionality, high-res streaming included. What We Don't: Eye-watering price. 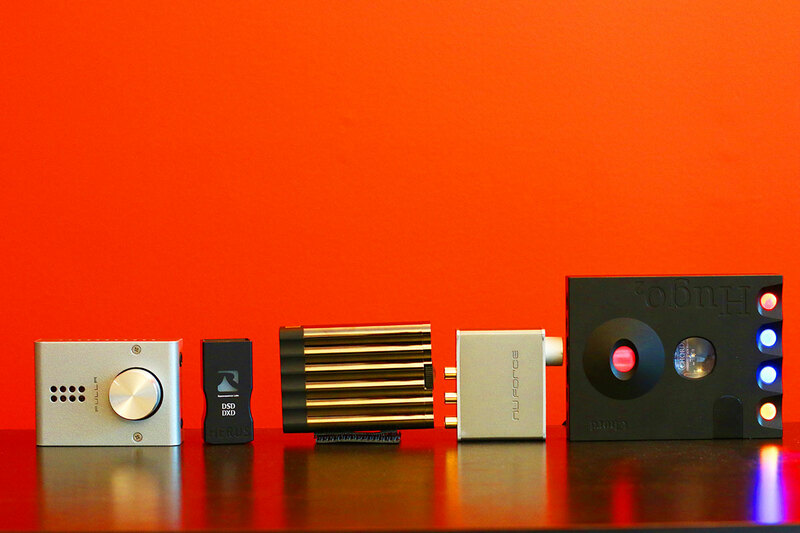 High-end DACs are amazing, and the Auralic Vega G2 is the most amazing-est. It delivers unbelievable quality in just about every way. It doesn't have the value-for-money of the Chord Hugo 2, but it remains an easy pick for best high-end DAC. The sound is genuinely incredible - better even than the amazing Benchmark DAC3 HGC - although at $3,500 more, it would be. The interface and functionality are spectacular, too. The Vega G2 offers full streaming functionality directly from a bespoke app, which is something no other DAC on this list offers - not even the Chord Hugo 2. This means it crosses over into the realm of music servers and streamers, but Auralic identify it primarily as a DAC. So, we do too. If you have a bit of money to spend, this should be your first and only port of call. The Hugo 2 will give you portability and flexibility, but this is still a winner. What We Like: Unbelievable functionality for the price. What We Don't: Doesn't deliver a huge leap in sound from your phone, best for iPhone over Android. The best portable DAC isn't automatically the most expensive. That's not how we do things here. After all, the Chord Hugo 2 is portable - it has Bluetooth. But we'd never, ever, ever take it on the train with us. No, to win in this category, a DAC must be simple, look good, deliver functionality that matches up, and have an attractive price. FiiO's second version of its Q1 may not deliver a huge change in sound from your phone - the audio will be subtly-sharpened, rather than drastically-changed. But it ticks the boxes on all these other elements, delivering an excellent experience. It helps that it's a quantum leap forward from the original Q1, which only had 24-bit/96kHz audio capability. It takes a leaf from the amazing Q5 headphone amp, delivering a ton of outputs and functions, and a stunning array of accessories. While it's best for those with iPhones - it's designed specifically to work with them - it manages to be a brilliant portable powerhouse. Others, like the Cambridge Audio DACMagic XSV 2 and the iFi xDSD, just aren't quite there yet. What We Like: Superlative sound and functionality. What We Don't: Can be very complicated. Benchmark's DAC1 and DAC2 have been the industry standard for DAC performance since they were released. The DAC3 was eagerly awaited by anyone familiar with the company's incredible audio conversion performance, and this surely must have piled the pressure onto the design team to deliver. I's not quite as fun to use as the Hugo 2 or the RME ADI-2 DAC, and doesn't offer features like Bluetooth. However, it's far more affordable, and the sound is just unbelievable. What We Like: Elegant design, a wealth of features, great sound, plenty of headphone gain. What We Don't: Quite heavy for its size. Marantz are well known experts in DA conversion. 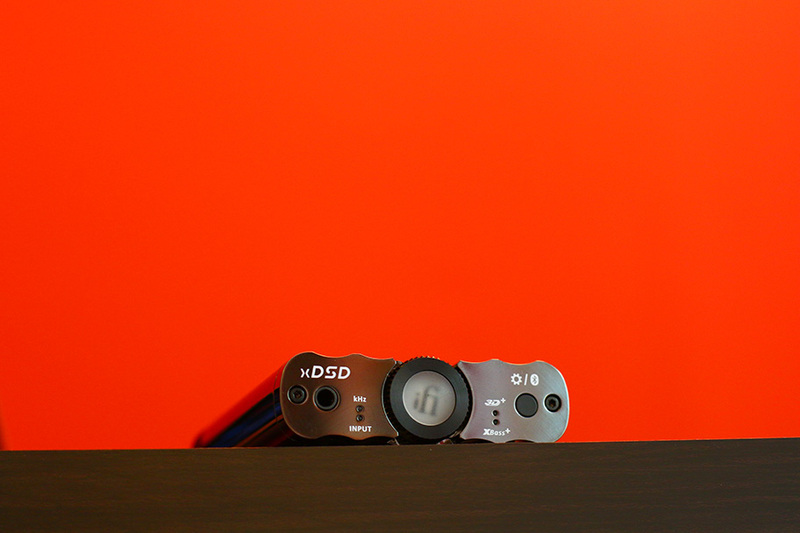 Their HD-DAC1 unit proves that the company never stopped. This is a pick that offers huge value-for-money, far more so than units like the Schiit. The Yggdrasil does offer more features, and was high on this list previously, but we’ve had a think about it, and the Marantz deserves to place higher. This is a very contemporary, smart-looking device that comes in two variants - black or brushed aluminum. It is surprisingly heavy, due to the oversized internal transformer, and believe us when we say this can only mean good things for audio performance. The HD-DAC1 has all the expected digital inputs present, and if the outputs do not offer balanced connections, you do get two pairs of RCAs - one with ‘fixed’ line level and one with ‘variable’ - linked to the volume control. Speaking of volume, a special mention is reserved for the headphone amp, which will drive virtually all headphone impedances (up to 600 ohms). The variable RCA output is plenty powerful too - it can be used directly with a powered pair of speakers, or straight into a stereo amp - no hifi preamp needed (If you’re planning to use such a device, use the HD-DAC1’s ‘fixed’ RCA outs for connection). This much air, depth and detail will give your headphones and speakers a new lease on life. Just make sure the rest of your gear is as good as it needs to be. What We Like: An excellent upgrade on the original Brooklyn, with genuine improvements. What We Don't: Huge number of options - potentially too many for some. 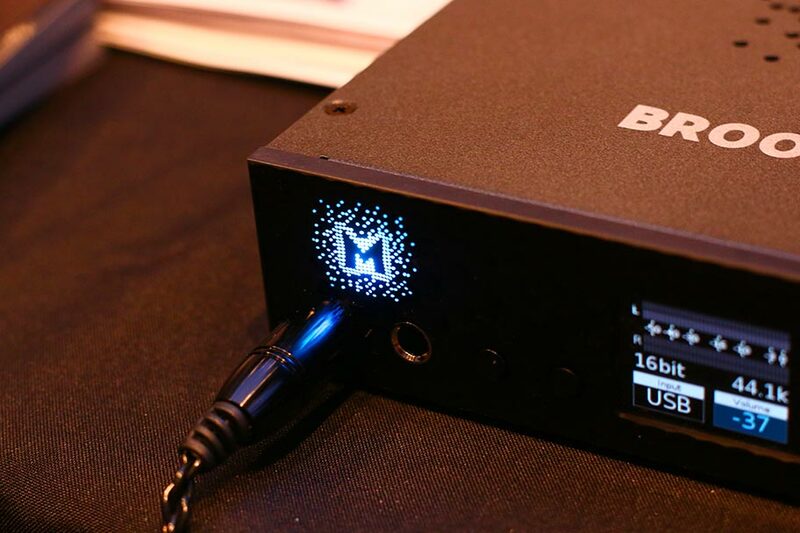 The original Brooklyn DAC has been discontinued, but fortunately, the geniuses at Mytek have a replacement ready – and it’s not just a cosmetic upgrade, even. The DAC+, which cost a couple hundred dollars more than the original (so don’t be afraid to jump on eBay or the like if you’re okay with an older model) offers an upgraded chipset, an improved final stage, and a retuned headphone amp. It remains one of the best DACs available today, easily in our top five. It’s not quite as sleek or as powerful as something like the Chord Hugo 2, or as intricate as the Benchmark DAC3HGC, but it’s still a beast. One of the things that has stayed the same is the deep interface which, while complex, is still quite intuitive to use. It should be said that while this doesn’t change one of our criticisms of the original – but for most people, the number of options and the professional level information given might just be overkill – there’s no question that the sound quality, build and overall design is just absolutely spectacular. Brooklyn wins again. What We Like: Incredible multibit ladder technology, completely modular, stunning design and audio performance. What We Don’t: No headphone amp, no DSD. Straight out of Valencia, California: a proudly all-American made DAC by Schiit Audio. Just like Yggdrasil (meaning World Tree), most other Schiit devices derive their names from the Norse mythology, and they all have a slightly weapon-like looks, albeit of a very 21st-century kind. The audio quality is stunning, but such goodness comes at a price, and there’s hardly a better guarantee for quality than the fact that Yggdrasil is regularly sold out. New orders are shipped regularly, though, so we’d say go for it and wait for the moment when ‘Schiit happens’. What separates this DAC from any other brand on this list is the choice of its DAC chipset technology. The vast majority of audio conversion hardware uses the so called delta-sigma DAC architecture. The Yggdrasil uses Analog Devices AD5791BRUZ chipsets using multibit ladder conversion, which in simple words does not distort the digital DNA of the digital audio, preserving detail accuracy down to a sample. As Schiit put it, they’ve taken the guesswork out. Connectivity is generous and very pro-level - you’ll find a high-end AES digital XLR, balanced XLR outputs, as well as all other common digital and analog connections, and the device’s internal components are fully upgradeable (the USB board, the analog output section, etc). One important feature - a headphone amplifier - is missing, which is to keep the DAC technology as discreet as possible. Ditto for the DSD, which we think is a bit of an issue. Other DACs like the Hugo and the DAC3 HGC offer more for the money, we think, but this is still a terrific piece of gear. What We Like: A solid DAC with a good range of features. What We Don’t: Sound can be a touch harsh. As much as we love NAIM, we’re not sure this is a top five DAC. It gets a lot of things right, but it’s not quite perfect: for one thing, the sound quality can be just a touch harsh in the upper registers – nothing terrible, but just enough that it lacks the subtlety and confidence of other DACs. All the same, this is still an excellent alternative to models like the Hugo 2 and the Benchmark, and it does offer a good range of features – as well as pairing very well with other NAIM amplifiers. You get up to 24-bit/384kHz through the USB connection, as well as full DSD functionality and circuitry that packs in a 4-bit SHARC DSP chip. It’s also one of the few DACs to come with a remote, although the one included here is much better than the example that comes with the Benchmark DAC3 HGC. We think there’s further room for improvement on the audio side of things, but it shouldn’t take much for NAIM to shoot into the upper reaches here. We look forward to the V2! What We Like: Outstanding audio quality. What We Don't: Tricky to find - and it’s getting a little old now. Tight dynamics. Rich, deep bass. Terrific detail. An easy-to-read and highly functional display. HDMI inputs, for Pete's sake. And it reads files up to a staggering 35-bit/844kHz. This is all very good stuff, and what it boils down to is that this is one of the best sounding, most unconventionally brilliant DACs on the market. Not that you get a ton of features for your $1,000. There's no headphone amp, no DSD playback, and you only get the ability to play PCM files up to 24-bit/192kHz. But what the M-51, a flagship model for NAD, doesn't deliver in versatility, it more than makes up for in sound quality. While it is getting a bit long in the tooth now, and can sometimes be difficult to find online – and, if we are really picking nits, the remote is pretty awful – it remains an absolute belter, one of the few bright spots in a company lineup that has suffered a little bit of late. If you can find it, definitely pick it up. What We Like: Stupendous specs, audio quality, clever ergonomics, quick charge, dual outs. What We Don't: A bit spartan in looks, outside the spherical lights! This is a superb DAC. The looks may seem gimmicky, until you note the price, which might give you an idea of the Mojo’s hidden talents. 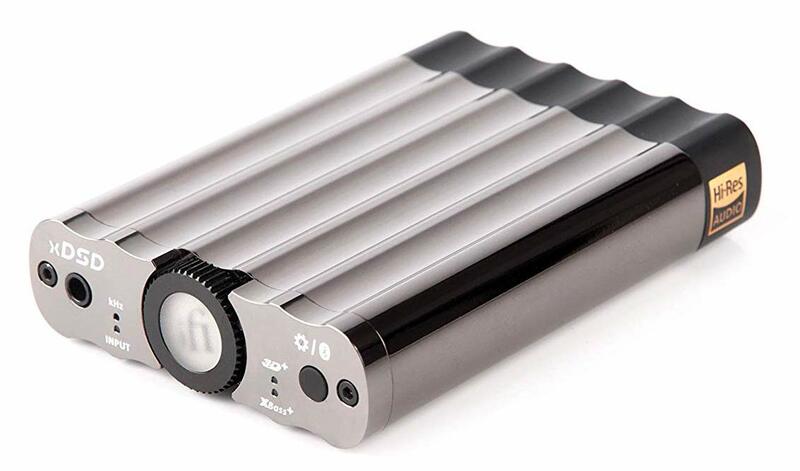 What we have here is a very powerful DAC aimed at handheld device audio playback, but equally at home when connected to a Mac or PC. In spite of its tiny size, the Mojo can take digital audio streams through several ports - a mini USB, S/PDIF and Optical 1/8” mini-jack. The analog outputs are 1/8" (3.5mm) mini-jacks and you have two paired outs, just in case you want to wow your date with your hi-res audio library. It doesn’t quite have the oomph of its bigger brother, the Hugo 2, but it’s a terrific budget option. What We Like: Smooth and engaging sound with super-clean background. What We Don't: No DSD playback functionality, slightly older conversion chip. We were already familiar with Parasound's excellent stereo amps, so it was a pleasant surprise to hear their DACs, too. The NewClassic 200 lacks a couple of key features, like DSD playback – something that cheaper DACs, like the $599 Chord Mojo, manage just fine - but it definitely deserves to be on this list. While it might not accept super-high resolution audio, it has several nifty features. Chief among these is the fact that it can act as a dedicated preamplifier with full subwoofer control. That's relatively rare among DACs and helps the NewClassic 200 earn its place. Ultimately, the sound quality isn't going to beat models like the RME ADI-2 DAC or the NAD Electronics M-51, and the lack of DSD could be a real sticking point. We also aren't wild about how the incorporated Burr Brown PCM1978 chip is simply ripped from old the Halo P5 preamp - we feel like there should be an upgraded version here. However, it was a genuine pleasure to hear this, and we think it's going to be on the list for quite a while. Well played, Parasound. What We Like: Clear and dynamic sound quality, great looks. What We Don't: Fiddly controls. No brand in the world of audio needed a refresh more than iFi. Between clunky designs and a website that was both annoying and obtuse, the company badly needed a reset. Fortunately, both the website and their product design have undergone a massive revamp. The new xDSD portable DAC looks nothing like its predecessors, eschewing the scifi-coffin look for a much sleeker, much curvier metal frame. What hasn't changed are the controls and inputs, which remain fiddly and frustrating. What We Like: Easy setup, great sound. What We Don’t: No tablet/smartphone support at the time of writing. While this isn’t quite as good as the Mojo, it does offer one of the better portable DAC experiences we’ve had, with its slim, cigar-sized build making it easy to slip into a pocket. What We Like: Super-clean operation for under $100. What We Don't: Not a particularly exciting DAC. Schiit's Modi line remains a DAC classic - especially when paired with the amazing Magni 3 amp. This latest update distills all the wizardry of the previous Modi variations into a single sub-$100 DAC. It's not a huge update on the Modi 2, but it doesn't need to be - it already does what it's supposed to extremely well. The audio it delivers is crisp and clean, and operation is beautifully straightforward. It's not super-high on the list, as it's not one of the most exciting DACs - we think models from Meridian Audio may be more pricey, but also feel a little more dynamic. The Modi does have an upgraded version available, the Modi Multibit, which adds additional inputs and a fantastic digital filter. It's more expensive, though, at $249, so be aware of that before you buy. Regarding the vanilla Modi, we think it's a good-if-unspectacular DAC that can form the unassuming backbone of any decent hi-fi or headphone system. It replaces the old Fulla 2 on this list - that model is still available, but we think the Modi 3 does a slightly better job as a DAC. What We Like: Price, size, audio quality. What We Don't: Minimal look, sound can sometimes be a little sterile. We simply love the Optoma NuForce uDAC5. We’ve had one in the office for a while, and it never fails to impress. Yeah, there are other small DAC interfaces around, but this NuForce layout is just so clean and precise. Much like its audio conversion really. Relying on a slick ESS SABRE chipset for its impressive 24-bit/384kHz conversion (and DSD256) capability, the NuForce has quickly won an enviable reputation. Start playing DSD, and the light on the front switches to blue, like you’ve unlocked a secret mode. What We Like: Simple operation, great design. What We Don't: Overly subtle sound quality. This is the cheapest DAC on this list, and also one of the newest. It's an almost absurdly simple device, designed to connect to a laptop or tablet, and to drive your headphones. It's simple design, with twin volume buttons as the sole controls, make it a cinch to use. You probably won't even need a manual. It's also highly portable, and its simplicity makes it easy for us to include on this list. However, if you're going to be doing desktop listening, you're probably better served with spending $25 more and getting the Schiit Modi 3, which has more features. 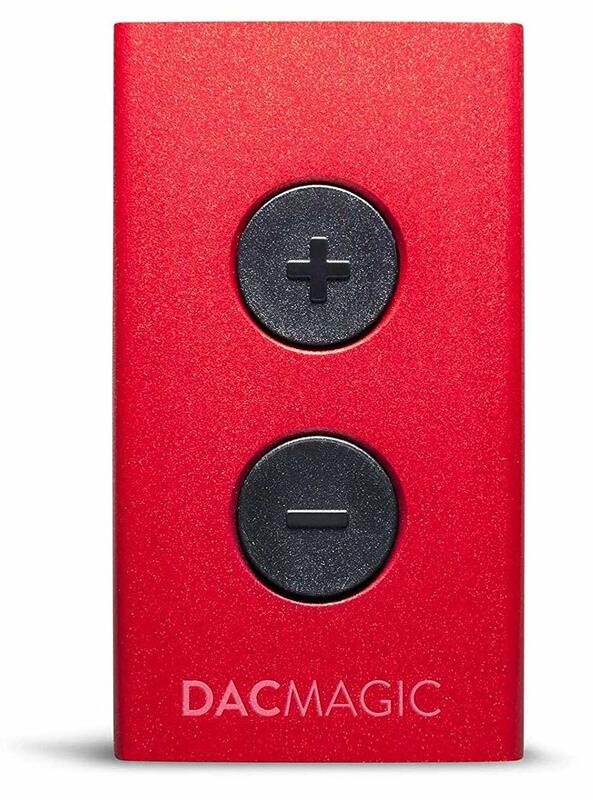 Crucially, it also feels like it makes a bigger impact on the sound than the DacMagic XS V2 does. The difference here is almost too subtle, with only the lightest amount of sharpening and polishing going on. It will certainly give you a little bit more power to play with, but at $75, it's still probably a little too expensive for what it is. All the same, its portability and design mean that it definitely earns it spot on this list, even if it isn't the best option. See the Chord Hugo 2, at the top of this list? At the time of writing, Chord have just released a much bigger, better version – the Chord Hugo TT 2. The TT stands for tabletop, and as you'd expect, this is a DAC design to slot into a hi-fi system. We haven't had a chance to hear it yet, but it looks like an absolute beast: a mutant alien monolith that we expect to deliver superlative sound. It's a combination DAC, preamp, and headphone amplifier, and the folks at Chord have told us that it's almost as good as the legendary DAVE DAC. Yes, Chord actually give their products cool names, instead of calling them things like the FR89HUI-V2. If you do want to check out a Hugo TT 2, it will cost you a cool $6,000 and change. Hope you've got a kidney or two to spare..
Until very recently, standalone external Digital-to-Analogue-Converters were, if not a thing of rarity, at least rather boutique hardware peripherals reserved for recording studios and die-hard audio enthusiasts. Increasingly though, with audio-visual content being released in HD formats, upgrades to conversion hardware have become a necessary step for those unsatisfied with the often lackluster audio playback quality of generic computer and handheld devices. Every digital device capable of audio playback (through headphones or speakers, for example) has a converter already. This is the chip on the computer (or phone) motherboard, placed internally next to the device’s audio output. In most cases, the original DACs are hardwired to a specific model’s motherboard and as such their quality is predetermined by the spec and price of the motherboard itself. Its job - and the job of any DAC - is to take the digital ones and zeros that make up your music, and turn them into analogue sound. Most of them are just about OK, but the difference in audio quality when compared to pro-level, external DACs like the ones mentioned here is much like the difference between a local school’s basketball team versus any NBA championship finalist. By connecting an external DAC, you are entirely bypassing a mediocre quality computer audio chip with a champion-grade audio playback hardware. But how do they actually work? Most sounds we hear in music or movie audio began as sounds in the analog domain - people speaking or clapping hands for instance. Such sounds are captured by recording techniques and digitized - the first point of entering the digital domain through analogue-to-digital conversion. Digitizing audio is bit like ‘freezing’ the audio picture - like ancient insects or leaves being perfectly preserved within a piece of amber. Characteristics such as bass, treble, loudness, stereo movement or any other parameter, which were present at the point of digitizing, are captured and preserved forever in the amber - aka, the digital domain. The quality of any conversion is measured as bitrate, and this represents the amount of data (or the detail of the recording) sampled or ‘captured’ per unit of time. The higher the bitrate, the denser the detail, which results in an improved perceived audio quality. A good analogue-to-digital conversion would be like a very high count megapixel camera, capturing an image with utmost detail. Digital-to-analogue conversion on the other hand, would be a bit like printing this high res image. If you have a great DAC, this would deliver a pro-grade print, with all the colors and fine details of the source preserved. A poor DAC, on the hand, would be like a cheap pixelated print job of an otherwise beautiful digital image. The quality of conversion depends almost entirely on the quality of the DAC chipset. Higher resolution files do sound better than lower ones (and much better than compressed ones), and the processing power of the DAC chip determines such audio characteristics as transient clarity, harmonics, depth, stereo width and more. The difference between, say, a $50 converter and a $500 will be as clear as night and day - even to untrained ears. The great thing about great DA converters is that your amazing speakers and headphones will sound even more amazing…bottom line: get a good DAC. We've gathered some of the most exciting converters currently on the market, and the ones that made our list aren't esoteric custom-made units reserved for millionaire superstars. We like and understand good tech. So we are, before anything else, rooting for smart functionality and best value for money. We've broken things down into categories - there's a Best Overall, a Best Budget, Best Portable, and so on. No matter what you're looking for, you'll find an excellent choice here.To get these rankings, we've looked into build quality, internal components, external connectivity, and more. A simple DAC upgrade can do wonders for your audio playback, similar to how a 4K-capable TV might change your movie viewing experience. So, why not take the jump? Standalone DACs can be USB-enabled boxes with a simple pair of analog outs, the USB connection streaming not only data, but also the voltage needed for the DAC circuit to function. There are also DACs needing mains power, so be aware of that. A good example of this: the NAD Electronics M-51, which needs a separate amplifier to work. DAC/Headphone amplifiers provide analog outputs for your speakers, as well as (mostly) separate output for your headphones. They often include a hardware volume control for the preamp, which can also be software controlled, allowing you to reduce or boost the nominal output fed to your cans. Most of the DACs on this list actually sport headphone amps, and we’ve indicated where this is in fact the case. 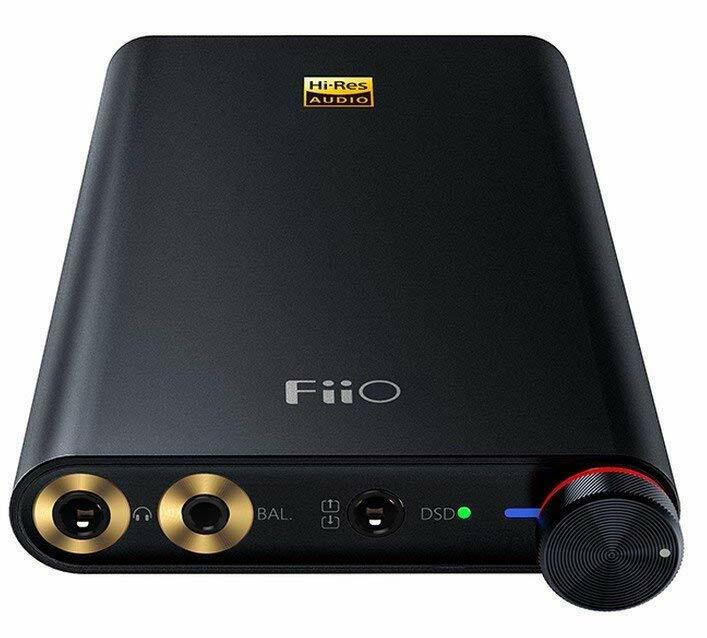 Portable DACs connect to smartphones or tablets, normally through mini USB-C ports, and almost certainly include a headphone preamp. They can also double as a computer DAC. For a good portable DAC, try the Chord Electronics Mojo - it’s amazing. By the way, DACs only featuring Optical or SPDIF digital inputs are used for digital to analog audio conversion of say A/V Receivers, TV sets, Digi-boxes and similar. 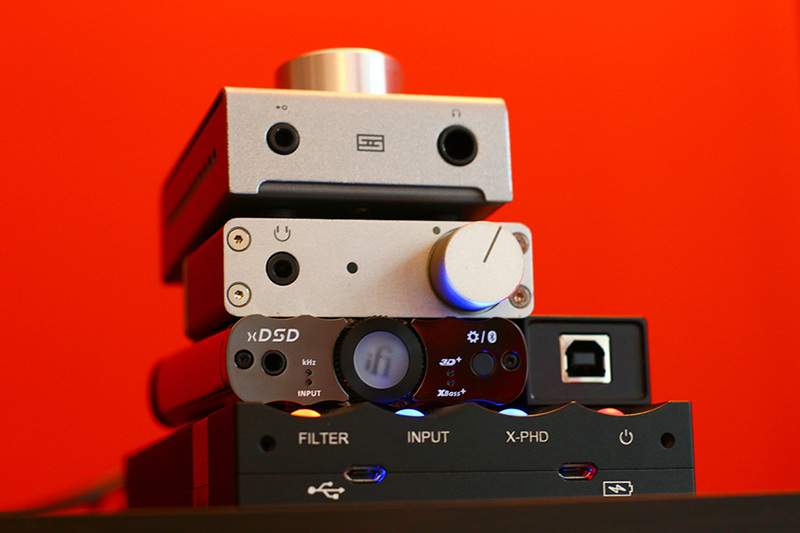 DACs are mostly USB-equipped boxes which, when connected, substitute for the existent internal headphone/line out. They are usually plug ‘n’ play-type devices, meaning that the operating system of your computer will immediately know that they are present, what they are (down to the brand/model) and what they do. You may find that you need to install drivers (audio settings control menu app) for some DACs. Once connected, the DAC shows up in your playback options of your Settings/Preferences sound menu, and you would need to select it from the scroll-down menu to make it your prefered hardware output for playback. You’d need to unplug the physical connections from your existent output (e.g. headphones, powered speakers or an amp with passive speakers) and reconnect the leads to the outputs of the external DAC. DACs featuring a headphone amplifier with headphone control (a volume knob), offer extra flexibility. Some DACs require volume adjustments to be done from the playback device itself (via software control). More advanced DACs will offer selectable digital input sources, allowing you to switch between a laptop (USB), a Blu-ray (or similar) player, connected through additional Optical or S/PDIF connections. In such cases, the DAC routes several digital only sources to one analog pair of outputs (the DAC’s outs) which feed the analog audio signal to your speakers. While perusing our list of DACs above, you’ve probably wondered about the two sets of numbers – the ones reading 32-bit/192kHz or 24-bit/96kHz. Those numbers indicate bit depth and sample rate, and they are a numerical measure of how much information the DAC can transmit. Let’s break this down. We’ve actually got a full explainer of how this all works, going into serious detail. However, we can summarize a few of the basics here – enough for you to understand what you’re looking at. Sample rate is the number of times per second a recording (a song, for example) records something from the incoming audio. Recording software and hardware doesn’t actually record a continuous stream of information, but rather, ‘looks at’ or ‘samples’ the incoming signal. The more times it does this, the better the quality will be. In addition, each one of those samples has a certain amount of information – the bit depth. The higher the bit depth, the more information in each sample, and the higher the… Well, you get the idea. Every song recorded will have a bit depth and sample rate, and the numbers given for each DAC above is actually the highest bit depth and sample rate it can handle. Very obviously, you want it to be as high as possible. For reference, the Chord Hugo 2 is the DAC with the highest combined bit depth / sample rate, at 32-bit/768kHz. DSD file playability has become a criteria for a DAC’s quality - mainly for audiophiles with extremely high-resolution libraries. It’s definitely not something you have to use if you buy a DAC, but it sure is nice to have. DSD stands for Direct Stream Digital, and is an audio protocol also known as 1-bit SACD bitstream - a file associated with Super Audio CDs. DSD files come in several ‘resolution densities’ and the highest resolution currently used commercially is the DSD256 (Quad-DSD), which samples audio of rates up to 11.2 MHz, which is four times the SACD rate. If this leaves you scratching your head, let’s say that the 256 number stands for hm...256 times the audio quality of a regular CD. Yeah, we all need time to even imagine that. You need a specialized player to even get DSD working - iTunes ain’t gonna cut it. Try Audirvana Plus. If you do get it working, you’re in for a wild ride. You’ll find a much more detailed explainer of this particular file format here. When putting together more elaborate audio setups, note that every time an audio stream gets converted from digital to analog and back to digital, the signal deteriorates a little. For instance, let’s follow the signal path of a laptop sending an audio out from its minijack (that is, digital-to-analogue conversion) to the analog input of a A/V Receiver (analogue-to-digital conversion), which in turn goes to the A/V Receiver outs (digital-to-analogue conversion again) feeding the speakers. As you can see, the signal has undergone AD/DA conversion several times before reaching the speakers. In such cases of multiple conversion points, each converter may have drastically differing quality, resulting in a scenario quite like the classic “Chinese Whispers” game, in which a message is distorted by being passed around in a whisper. By the time it gets to you, the words “Quick brown fox” have become “Monocle pilchard ice cream Donald Trump.” Well, not that drastic, but same idea. In such setups involving multiple sources, we recommend that wherever (and as long as) possible to keep the signal in the digital domain by means of using digital ports/cables, until the point of reaching Digital to Analog conversion. Thus, you’d not only avoid signal deterioration by over-converting, but would also take full advantage of your new super-converter’s talents, converting the pure DNA of the digital audio - as it was originally intended/digitized by the producers of the audio-visual content. Jitter is an often used term describing digital audio errors manifesting themselves as noise. A digital audio flow may see ones and zeros swap places by mistake - such as in, instead of 1010, a jitter may cause the number to be 1001. The result? Glitchy audio. Low jitter levels result in a truer conversion, and DACs may often use a separate filter chipset for keeping the digital jitter count low. Now, the key thing to remember here is: don’t let jitter freak you out. It’s actually irrelevant in almost all scenarios. You can usually ignore it completely, even if it is good knowledge to have. Just in case. Most Digital to Analog Converters use a specific design architecture called Sigma-Delta. This DAC technology is recently being ‘upgraded’ by a new generation of DACs - the so called Multibit converters, popularized by Schiit Audio. A good example is Schiit Modi 3, which has a $249 multibit variant available (we've named the $99 basic version as our favorite on the list). Already widely used in cutting edge space, military and medical program digital technology, these types of hardware chipsets use bit-perfect precision that vastly outperforms the capabilities of a sigma-delta type converters (we know - that sounds technical, but all you need to be aware of is that they sound incredible). 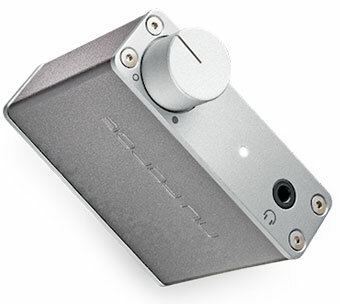 Schiit are one of the companies using the technology, combined with another - ‘Closed Form’ digital filters, which manage to retain all original samples of the audio, minimizing or completely eliminating digital jitter. Before we mark off the most common types of inputs and outputs found in commercial DACs, let's mention balanced vs unbalanced connections. Balanced and unbalanced connections are often referred to as pro and semi-pro respectively, and can at times have a dramatic effect to audio performance. This effect happens to take place after the sound has already been converted from digital to analog. To avoid a massively theory-heavy tangent, we could say that balanced outputs offer an impedance balancing (between the individual wires) of the connected cable, resulting in a better transference of the audio signal - in terms of signal to noise ratio. The Benchmark DAC3 HGC is a good example of this. At over $2,000, we would hope it would be balanced. In the real world, spaces with lots of wiring and/or light dimmers (commercial buildings, offices etc) are notorious for causing ground loops and hums to audio equipment. These are the cases where balanced outputs can come handy and act as effective hum-destroyers. The only types of connections qualifying as balanced are XLR outputs - which are the three-pin microphone type of cable connections. The third pin, by the way, is a grounding pin, similar to grounded wall outlets in your house. Another balanced output would be a 1/4" TRS jack - same as the larger type headphone jacks, and TRS standing for the type of jack tip ending - tip, ring, sleeve. 1/4" TRS jack audio outputs are mainly used in studio-grade audio converters. Some DACs may feature a switch called Ground Loop lift. What is it for? This is an option which helps kill ground loop hum caused in audio (and USB) cables affected by other electrical sources. The most common type of hifi outputs - normally resembling a pair of white/red phono plugs. The most common mini-jack connection as found on smartphones, laptops etc. 1/4" jack connections are uncommon in hifi products. They can be found in PA amps and recording studio equipment. Since they are smaller than XLR, 1/4" jacks can be used for balanced outputs on some devices. XLRs look like a three pin - within a circle - they use regular mic lead (cannon) connection plugs. You’ll find them mostly when balanced output circuit is present - in larger high end type DACs. This stands for ‘Sony/Philips Digital InterFace’, and these digital connections have a slightly squarish look. Often called a ‘lightpipe’ connection, S/PDIF cables let out a bright red light at their end. Good for linking DVD/Blu-Ray players or similar. These look like a single RCA plug, but carry stereo digital audio. Same as above but with an ending of the same size as a minijack (3.5mm) but carrying a stereo digital audio (as found on some Mac computers). AES/EBU is Audio Engineering Society’s digital protocol lead, transferring a stereo digital audio feed over a single XLR to XLR digital cable. These connections use the so called BNC type plugs, also used for some aerial / antenna-type attachments. Wordclock keeps the ticking of digital ones-and-zeros between digital devices in sync. The first device is normally set as a master, syncing connected digital devices (set as slave devices) and keeping them jitter-free (no dropouts of digital data). USB connections are the most common way of linking an external DAC to a computer. Depending on the size of the interface, different types of USB plugs may be present. Thunderbolt is the way to go (into the future). 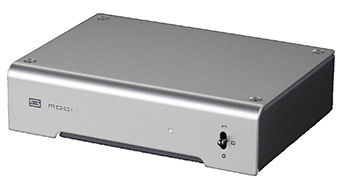 DACs featuring this connection are extremely rare at present, but the protocol has slowly began replacing USB or Firewire in recording studio-grade converters due to Thunderbolt’s increased bandwidth. Firewire is now pretty much a legacy connection, quickly fading away. An extremely rare digital connections for standalone DACs. Alright, we’ve kind of covered DA conversion and outputs, but would ever a DAC need an analog input? Nope. If they do, they’d be called AD/DA converters and these are an altogether different kettle of fish. Analog to Digital conversion is mostly needed in recording studios really. But perhaps not always. Just think of the (quite common) scenario of trying to digitize an old vinyl record or a tape cassette. You may say that some turntables come with a USB connection, and you’d be right - the AD conversion would take place exactly there. Very often though, these ADCs are of poorer quality than even those found in regular PC soundcards. So if you’re trying to digitize an old precious analog recording, you could do worse than find yourself a nice AD/DA conversion box which would allow you to digitize analog sound in a high-res digital audio and store it forever - a bit like an insect in an amber stone. If you’re reading this, you are at the very least intrigued about great-sounding vinyl playback. That’s not an easy thing to get right: record players are very much like fine musical instruments, so you need a damn good preamp.